Why does Mourinho have a Jedi-like mental hold over the media? It is absolutely fascinating to witness the hacks in this country, as well Sky Sports and alike, that take pride in destroying anybody in football’s reputation or credibility whenever they see fit over the smallest of things, be totally uninterested in doing the same to Jose Mourinho. Jose Mourinho has many gifts. A gifted manager, gifted coach, gifted translator…ahem. But perhaps his greatest gift is his Jedi-like mental hold over the media in this country. They seem to be totally unaware that Jose can say any old nonsense and they soak it up like a sponge, no matter how ridiculous or untrue. He once attacked Arsene Wenger by saying he is a specialist in failure when the Frenchman correctly called Jose up on supposedly conceding the Premier League title, well the special one is a specialist in evading failure that’s for sure. Take Jose Mourinho’s latest media propaganda regarding Manchester United’s end to the season. He claims that Man Utd have too many games so he is sacrificing the Premier League to fully commit to the Europa League. This in itself deserves to be scrutinised by the media in this country as to how many games Man Utd actually have, with the quality of squad he has available. A five-second Google search tells me that the only significant injured players Man Utd have had over the last few weeks are Zlatan Ibrahimovic & Marcos Rojo. That’s it. Luke Shaw & Darmian were out but were they first choice full-backs? Luke Shaw certainly isn’t. “He had a good performance. He was in front of me and I was making every decision for him,” Mourinho said. This critique was so pre-calculated that it came with one of those sound bites that Mourinho is always able to reach for. “It was his body with my brain,” he said. Jose came out after another convincing away defeat at Spurs and claimed that Man Utd only have one game left to the season as they don’t need the Premier League games. Yet nothing is said from anyone about this ludicrous statement. Let’s say the remaining games are pointless because Man Utd can’t finish in the top 4, who’s fault is that? What’s the reason that Man Utd can’t finish in the top 4? Is it not a disgrace that Manchester Utd spent over £150 million in the summer, to add to a squad that had spent over £130 million the season before, which added to an outlay of over £160 million to the season before that, has failed to finish in the Champions League spots? Where has this £450 million gone?! Man Utd have spent more on transfers in last 3 years (roughly £455m, gross) than Ajax (roughly £379m, adjusted for inflation) … since WW2. GK – De Gea; Romero. RB – Valencia; Jones; Smalling; Young. CB – Bailly; Jones; Smalling; Blind. LB – Blind; Young. CM – Herrera; Fellaini; Pogba; Carrick; Mata; Rooney. Winger – Mkhitaryan; Lingard; Rashford; Martial. Striker – Rashford; Martial; Rooney. If a manager can’t pick a competitive team for a game every three or four days from that, then sack him. The fact is Jose Mourinho is made of a shiny thick coat of Teflon when it comes to any possible criticism of his teams, his management or his comments. In spite of the fact that he is actually treating the media with complete contempt, as he knows full well they will report whatever he says and then discuss it like starving sheep that fall over themselves with any soundbite which they desperately crave. How about you delve into or even dismiss what he is telling you and look at the facts. You might then get around to doing some journalism and calling out Jose for what he has been over the past two seasons, a failure. Author The Ginger PirloPosted on May 17, 2017 May 17, 2017 Tags Jose Mourinho, Manchester UtdLeave a comment on Why does Mourinho have a Jedi-like mental hold over the media? 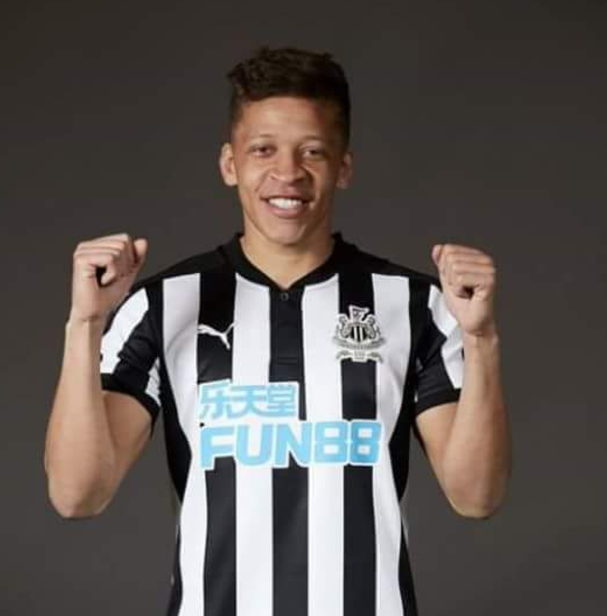 Many of us have caught a glimpse of the supposedly new Newcastle kit that has been ‘leaked’ on social media, which shows Dwight Gayle giving it the big one as he rocks the ‘classic’ black and white design we were all expecting, complete with a brand new sponsor. No details have been released yet on whether this is, in fact, our next sponsor or how much they are spending to promote themselves via ourselves but let’s hope it’s in the levels you would expect a top Premier League club to receive, and not some cheap job concluded by tax-avoider Lee Charnley. Author The Ginger PirloPosted on May 15, 2017 May 15, 2017 Tags Newcastle UtdLeave a comment on New Newcastle kit ‘leaked’! 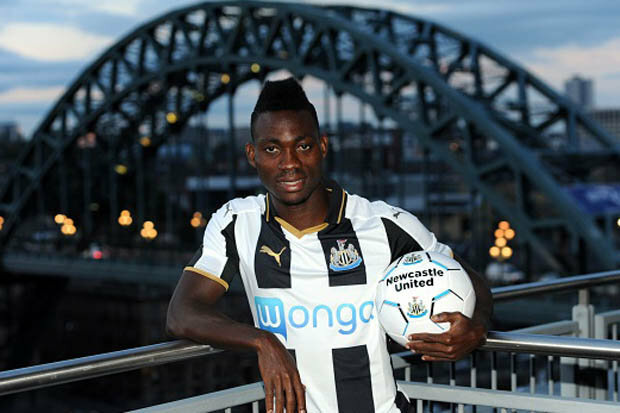 It looks like Newcastle are taking up the option to sign Christian Atsu on a permanent basis from Chelsea for around £6 million. The infamous ‘Sky sources’ are all over the story claiming the club and Atsu are in negotiations today as the deadline from his loan clause to make his move permanent is closing in. Atsu has been decent overall in the Championship but is he good enough for the Premier League? Well if you look at his record for Ghana this season he has become arguably their most influential attacker and his impressive performances helped Ghana to the semi-finals of the African Cup of Nations. In the Championship for the Magpies he has put in some decent performances and some memorable moments on our way back to the Premier League. None more so than the free kick that finished off Cardiff in the penultimate game of the season – what a beauty! His fee of £6 million is worth the punt for someone who obviously has talent but has never had a club yet to call home, as he has been continuously shipped out on loan all across Europe. We might just be able to get the best out of him next season.